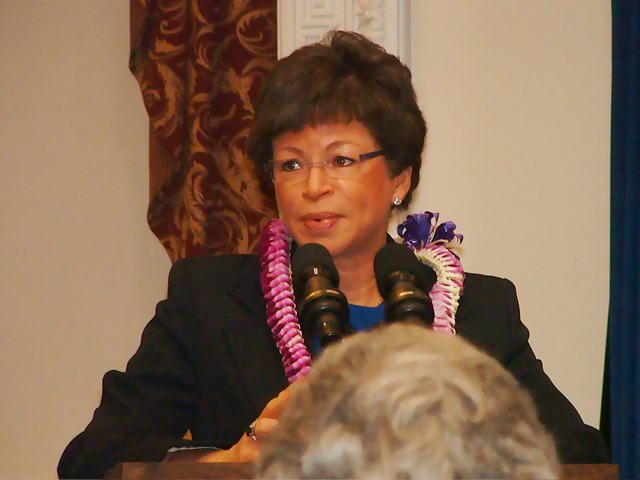 Janet Kopenhaver was invited to participate in the White House briefing on Women and the Economy, during which Labor Secretary Hilda Solis and White House Senior Advisor Valerie Jarrett addressed the crowd. 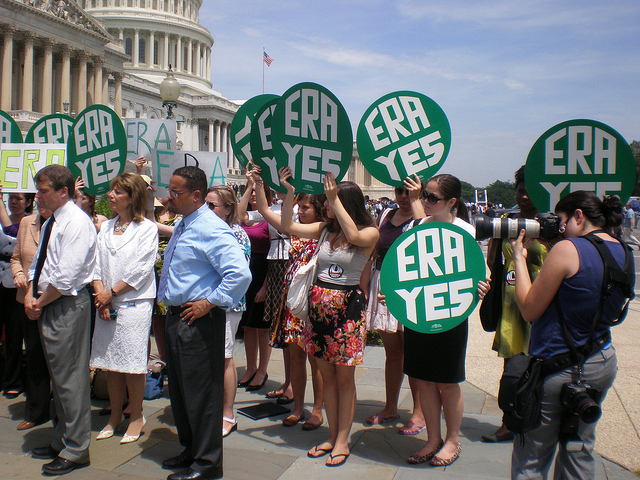 Valerie Jarrett, Senior Advisor to the President, greets the crowd and stresses how women are being impacted by recession. 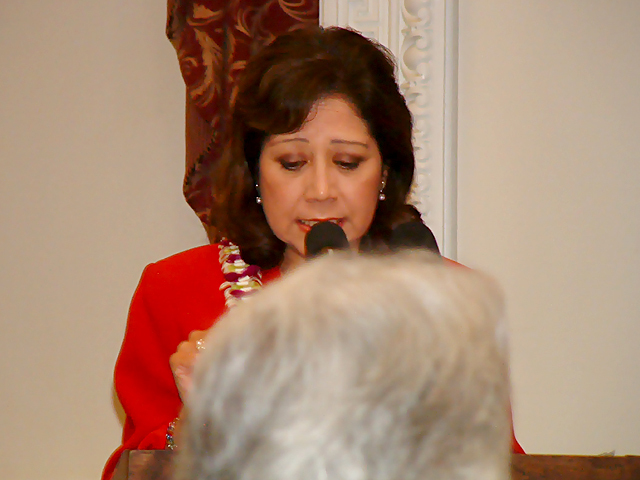 Labor Secretary Hilda Solis closes the meeting and urges the audience to share the presentations widely on the impact of the economy on women. 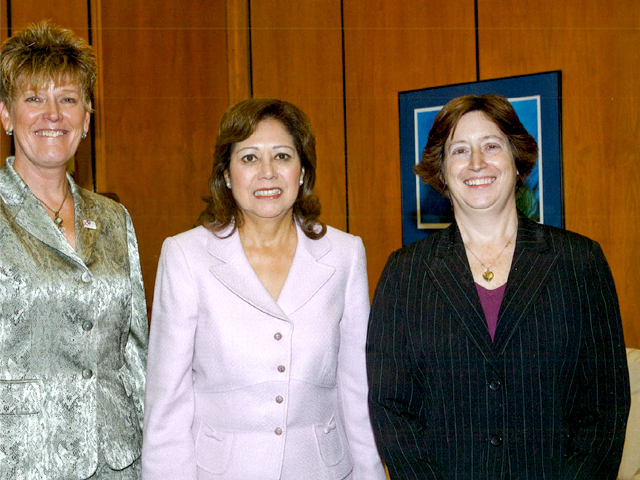 Janet Kopenhaver arranged and led a meeting between her client's President and Labor Secretary Hilda Solis to discuss women in the federal workforce. 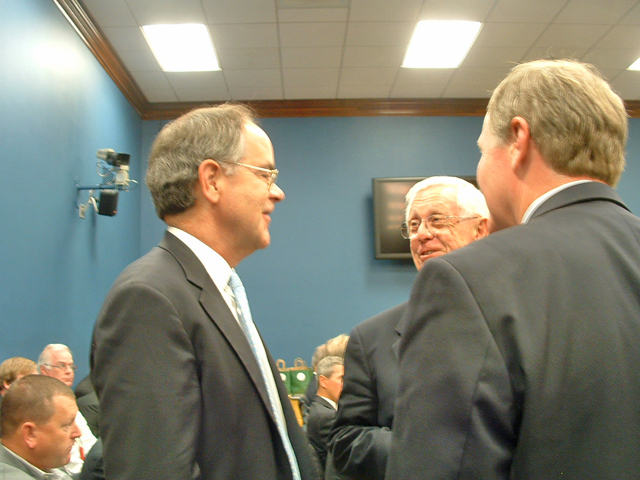 Caucus Co-Chair Rep. Jim Cooper (D-TN) talks with constituents before the start of the Wire and Wire Products Caucus briefing. 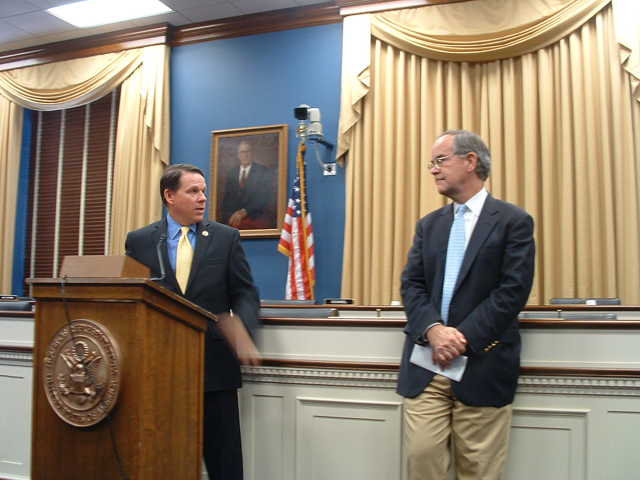 Wire Caucus Co-Chairs Sam Graves (R-MO) and Jim Cooper (D-TN) await the opening remarks at the Caucus briefing. 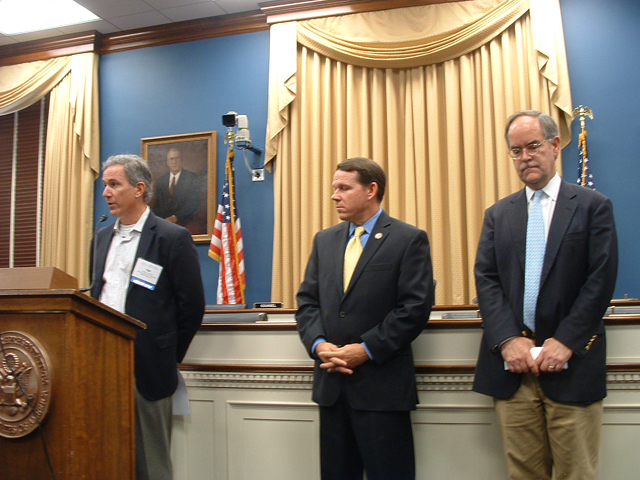 The Eye on Washington client Chairman introduces the two Congressmen as the Caucus Co-Chairs. 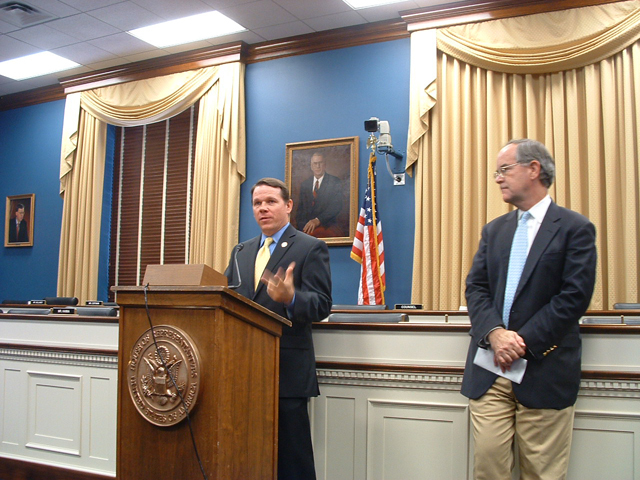 Rep. Sam Graves (R-MO) welcomes the attendees to the first Caucus briefing while Rep. Jim Cooper (D-TN) looks on. 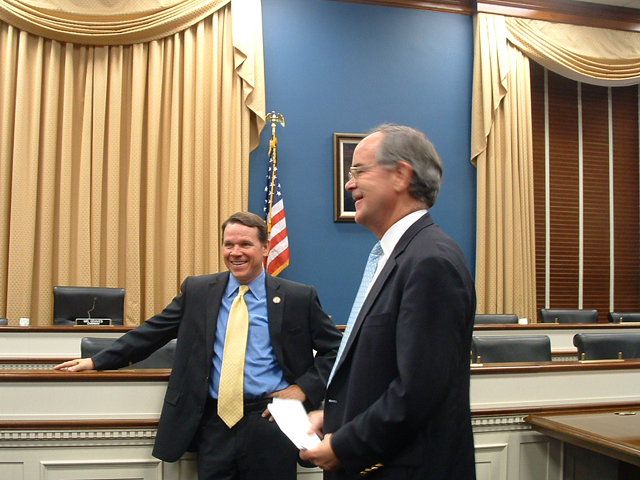 Rep. Sam Graves (R-MO) thanks Rep. Jim Cooper (D-TN) for Co-Chairing the Caucus with him. 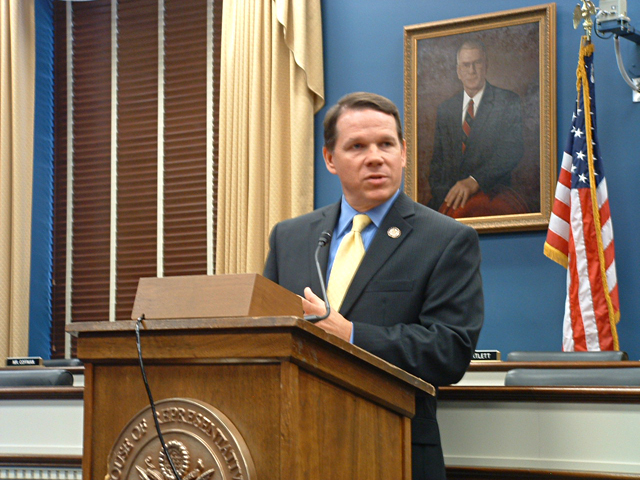 Rep. Graves (R-MO) thanks the crowd for coming and expresses his commitment to the Caucus. 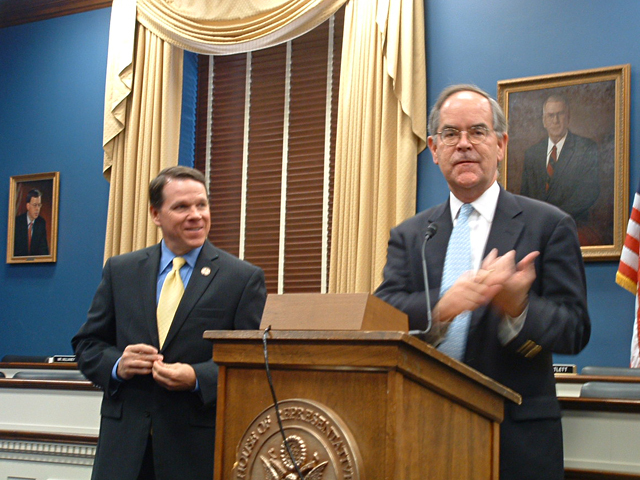 Rep. Jim Cooper (D-TN) applauds Janet Kopenhaver for pulling together the Caucus, its members and the briefing. 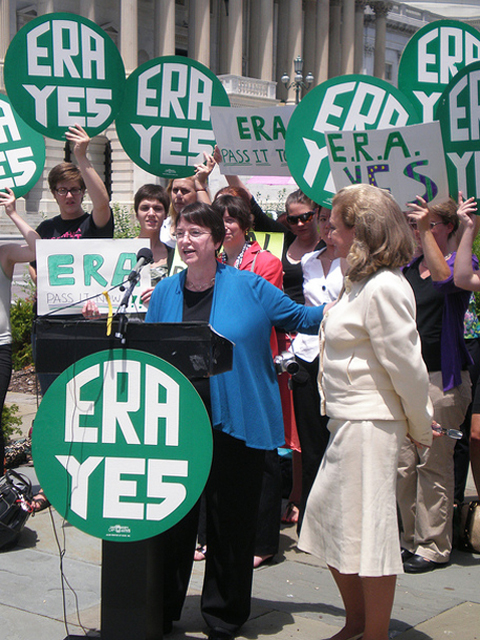 Janet Kopenhaver participated in a press event in June 2011 upon the introduction of the Equal Rights Amendment bill by Rep. Carolyn Maloney (D-NY). 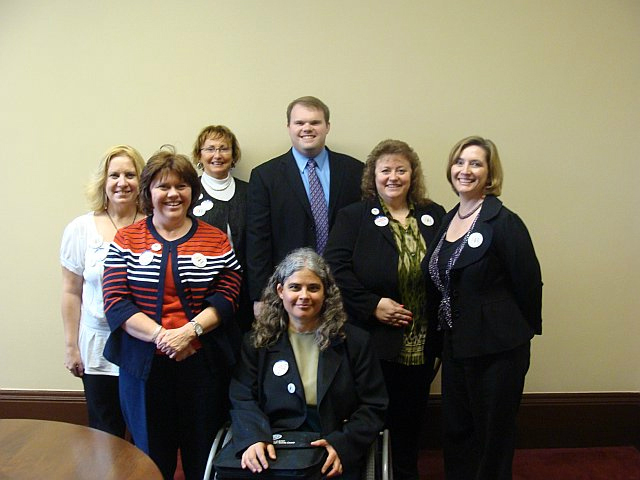 Kopenhaver was asked to address the group, along with several legislators. 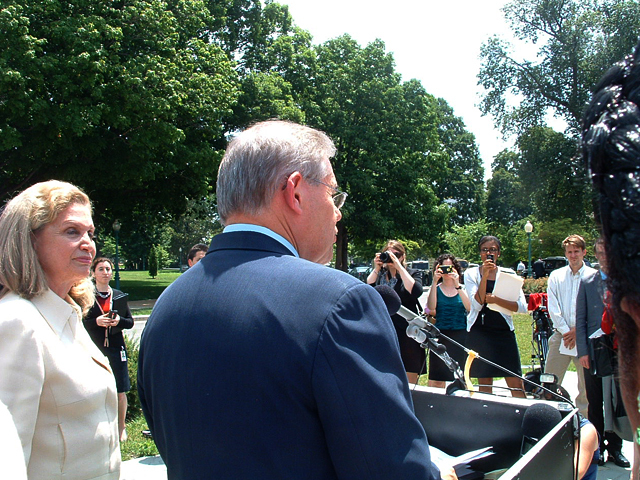 The press event featured (from left to right): Sen. Robert Menendez (D-NJ) and Reps. Hank Johnson (D-GA), Carolyn Maloney (D-NY), John Conyers (D-MI) and Judy Chu (D-CA), behind Maloney. The crowd during the press event. 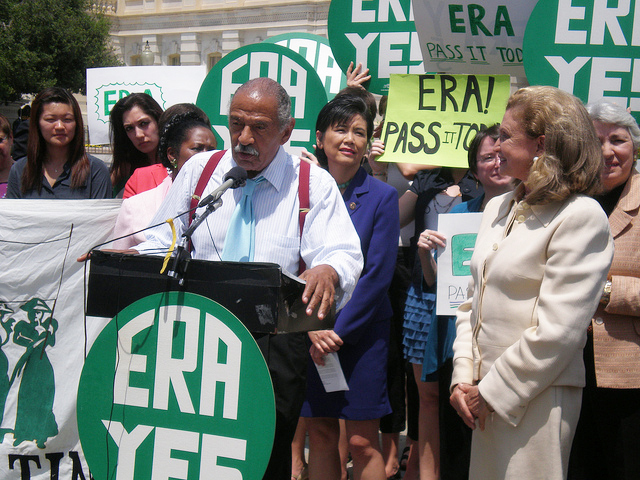 Rep. Conyers promises to bring up the ERA with President Obama. 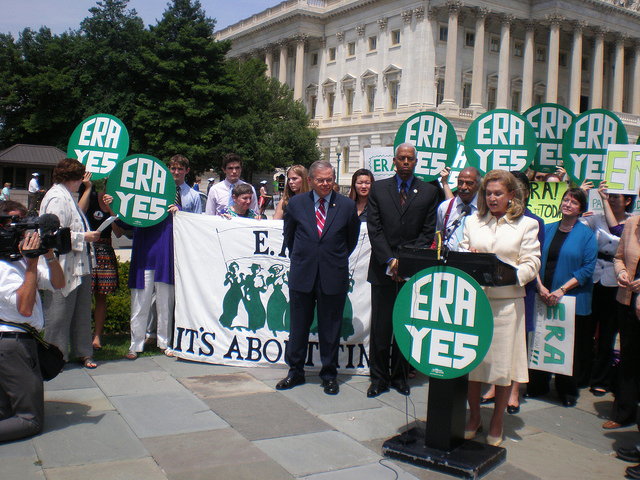 Rep. Maloney greets the crowd. 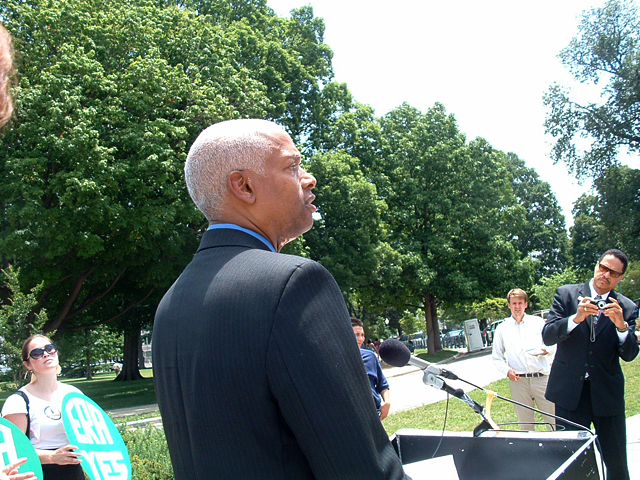 With her are Reps. Johnson and Conyers. 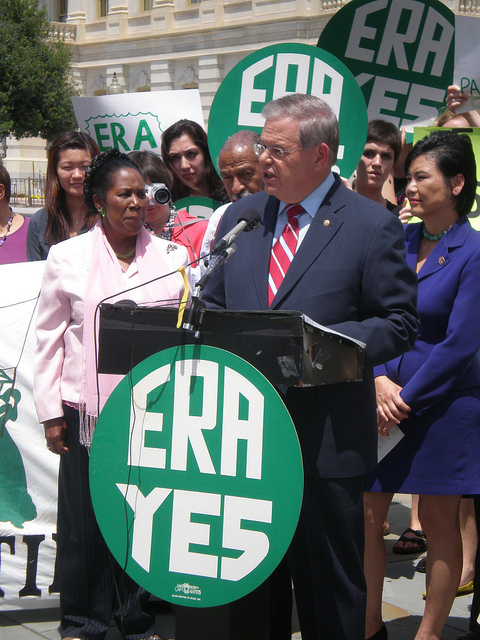 Sen. Menendez addresses the media, flanked by Rep. Sheila Jackson Lee (D-TX). 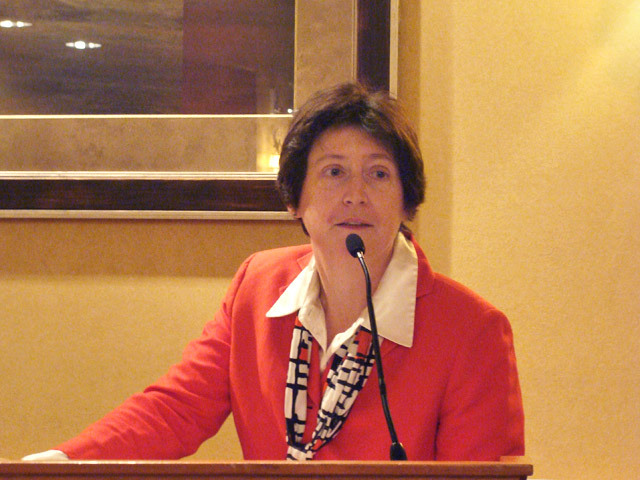 Janet Kopenhaver (in red jacket) takes pictures of the Senator from her vantage point in front of the crowd. 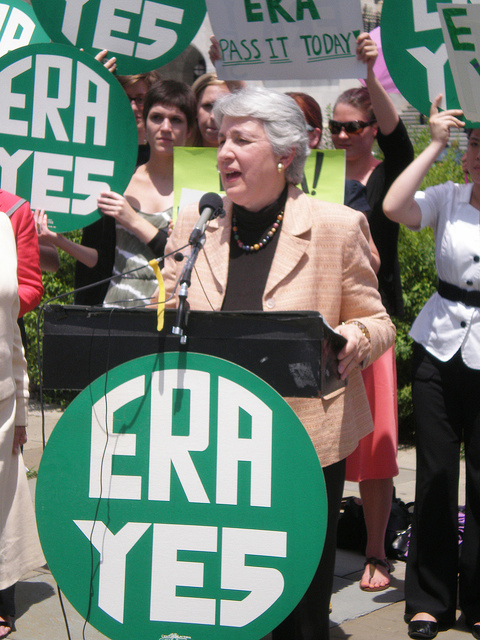 President of Feminist Majority and former National Organization for Women (NOW) President Ellie Smeal gives a history of the ERA. 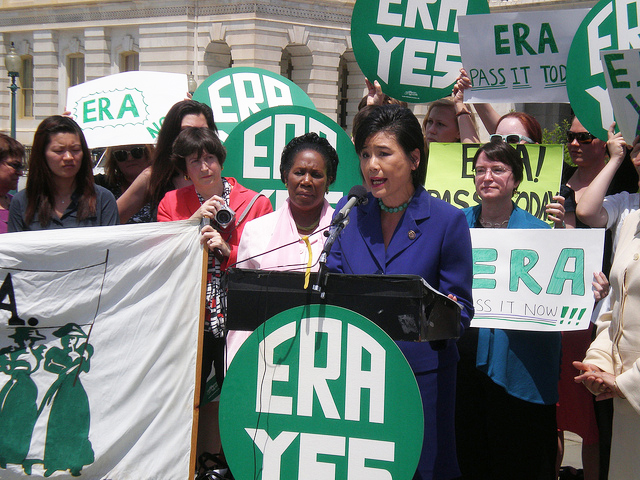 Janet Kopenhaver listens to Rep. Judy Chu discuss the need for an Equal Rights Amendment. 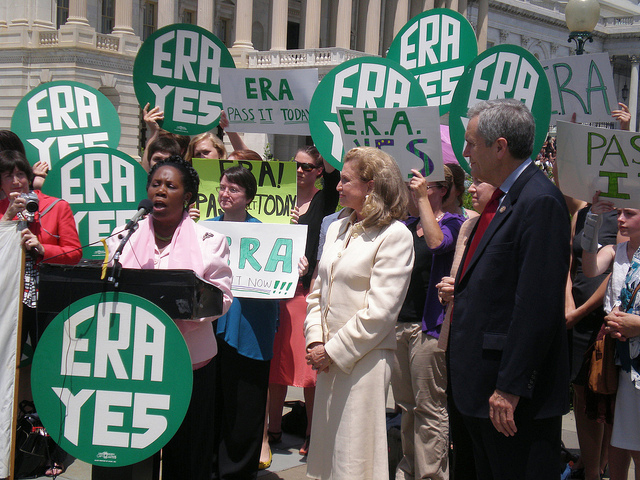 Rep. Jackson Lee revs up the crowd about the ERA. 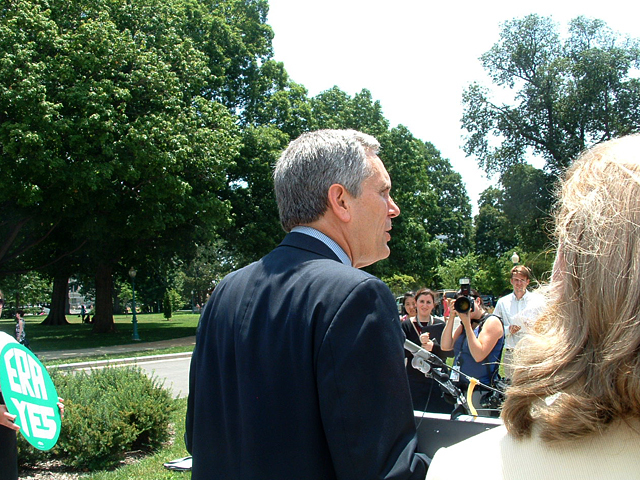 Rep. Lloyd Doggett (D-TX) joins the legislators and addresses the crowd. 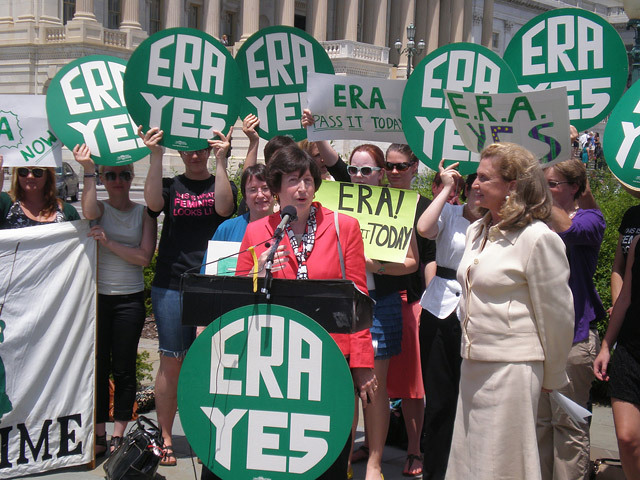 Janet Kopenhaver addresses the crowd on getting pumped up about the ERA. 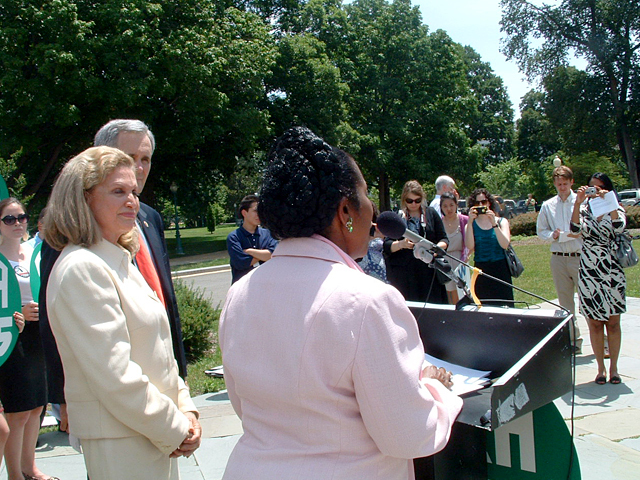 Rep. Maloney listens in. The crowd cheers as Rep. Maloney wraps up the press event. 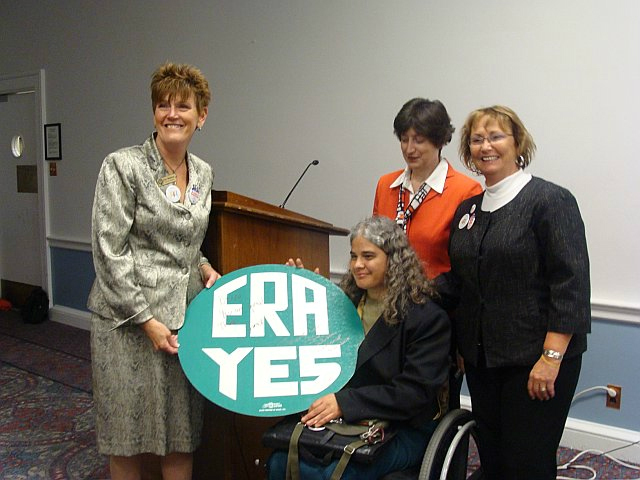 Janet Kopenhaver poses with several feminist leaders after the event. 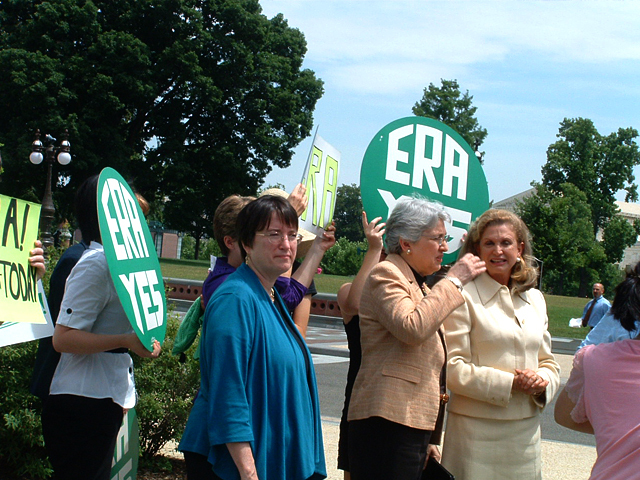 Rep. Carolyn Maloney (D-NY), Eleanor Smeal, president of the Feminist Majority Foundation, and Kim Gandy, women's right leader and former president of the National Organization for Women (NOW) get ready for the ERA press conference. 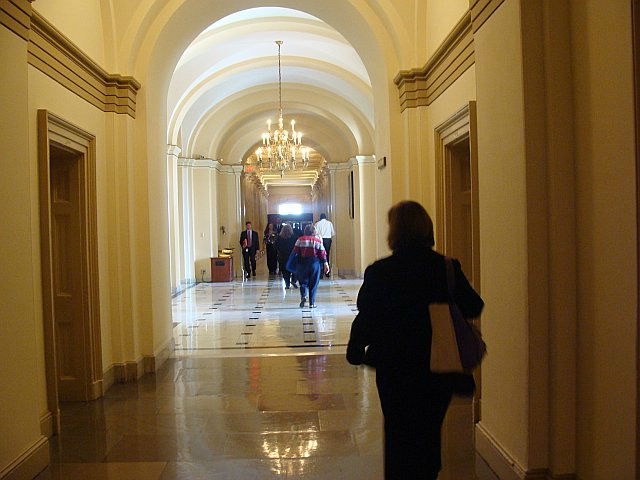 Janet Kopenhaver, from her vantage point behind the podium, snaps a photo of Sen. Robert Menendez (D-NJ), the sponsor of the ERA bill in the Senate. 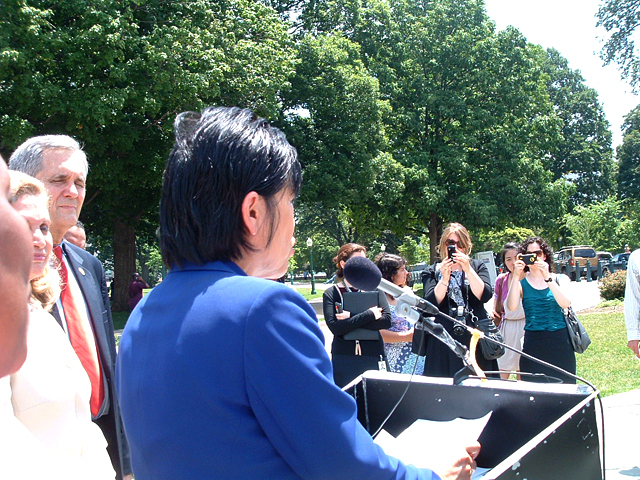 Rep. Doris Matsui (D-CA) addresses the crowd while Reps. Carolyn Maloney (D-NY) and Lloyd Doggett (D-TX) look on. 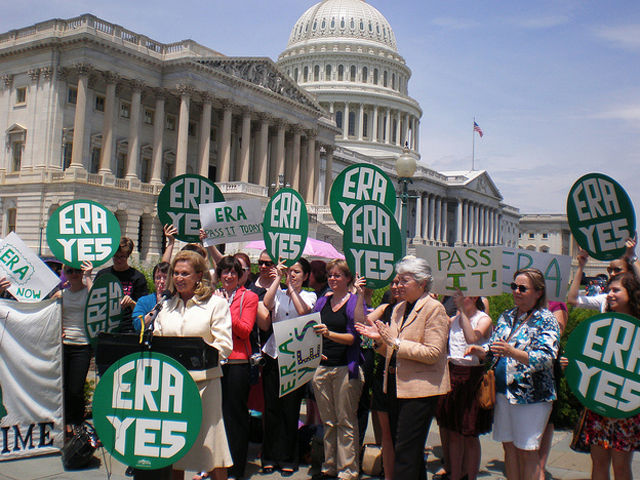 Rep. Sheila Jackson Lee (D-TX) gets the crowd pumped up for the ERA fight. 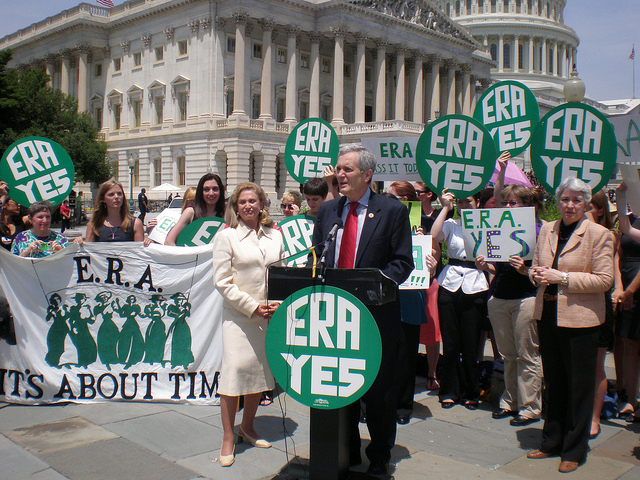 Rep. Lloyd Doggett (D-TX) tells why he supports the ERA. 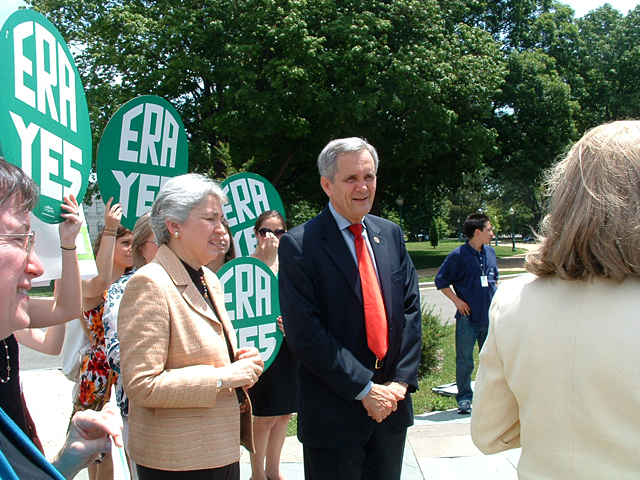 Rep. Lloyd Doggett, Eleanor Smeal and Kim Gandy stand beside Janet Kopenhaver (taking the photo) to listen to Rep. Maloney discuss her ERA bill. 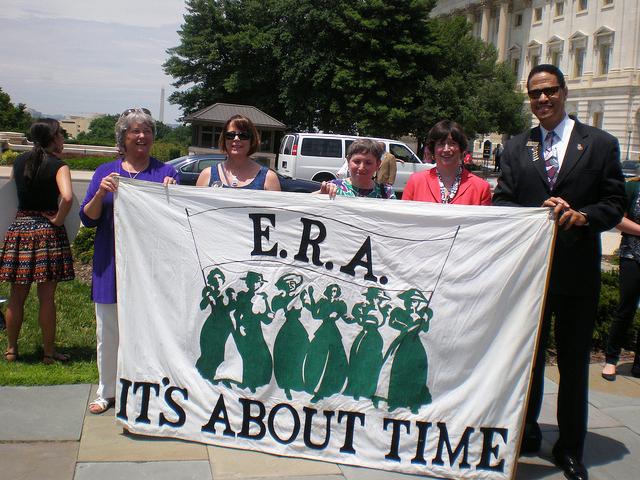 Rep. Keith Ellison (D-MN) greets the ERA supporters. 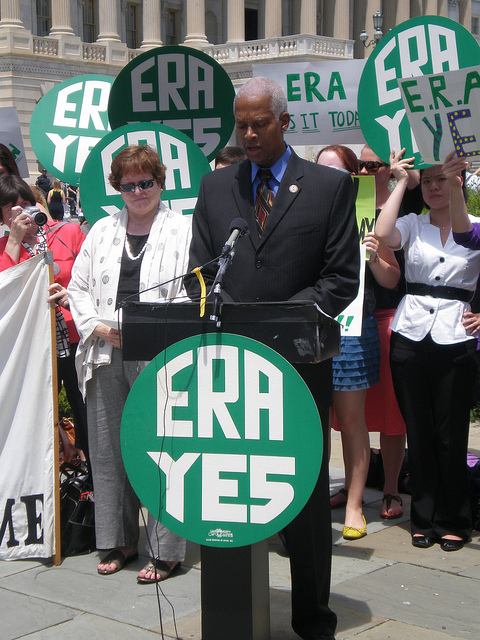 Rep. Hank Johnson talks of his support for the ERA. Kim Gandy, former NOW President, congratulates Rep. Maloney. 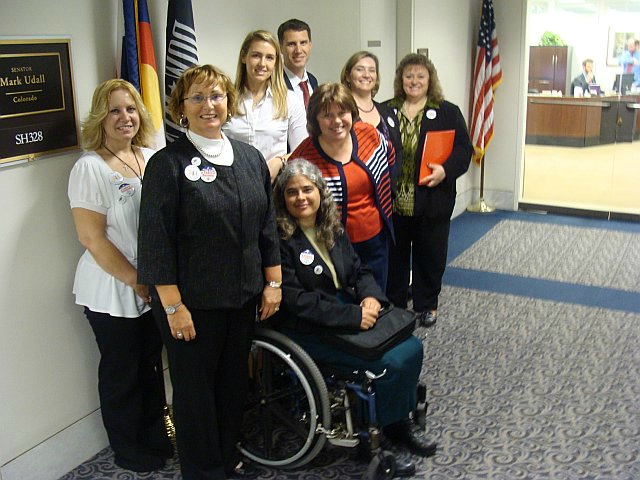 As the Washington Representative for a client, Janet Kopenhaver solely organized and managed the organization's Grassroots Advocacy Day. 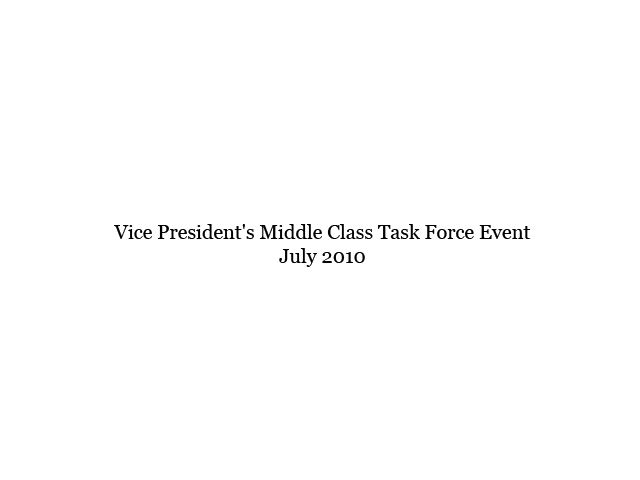 Over 80 people attended and conducted almost 100 meetings representing 35 states. 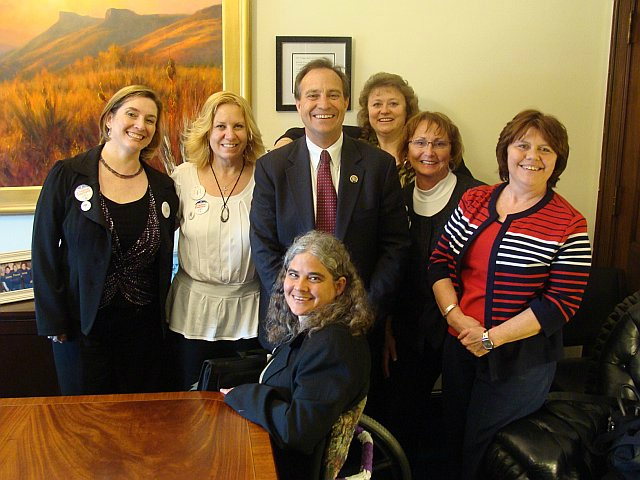 Here Janet briefs the participants on what to expect during their Hill meetings and on the issues they are discussing. 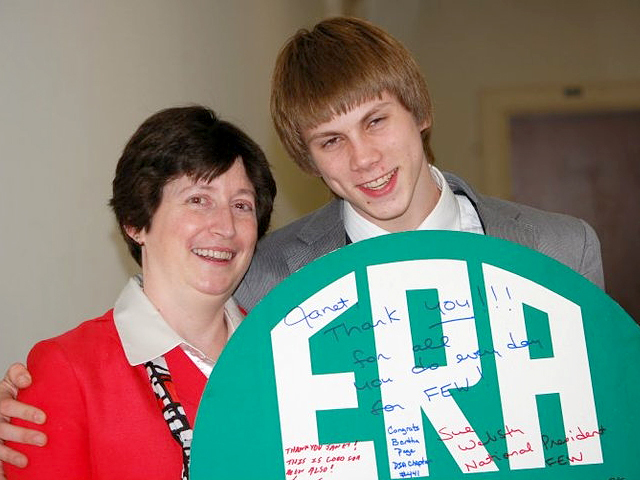 A client presents Janet with an ERA placard in appreciation for her work. 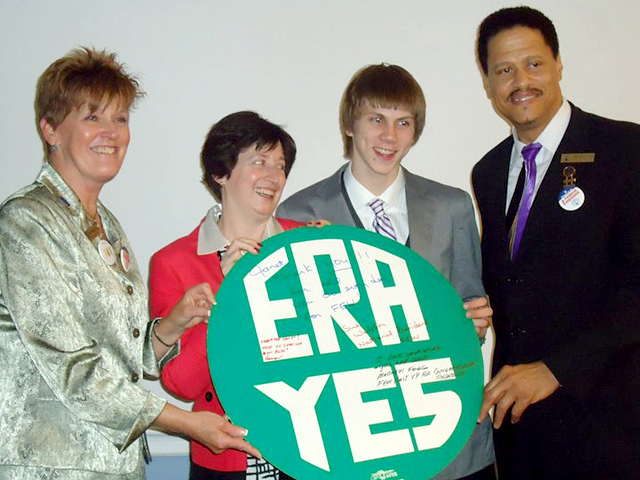 She is joined by her son � a young ERA supporter. 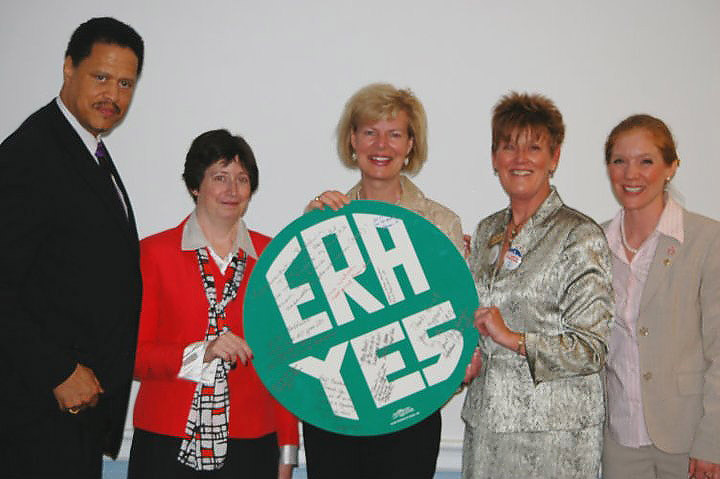 Janet Kopenhaver and a client leaders present Rep. Tammy Baldwin (D-WI), the sponsor of the ERA bill, with an ERA placard of appreciation.